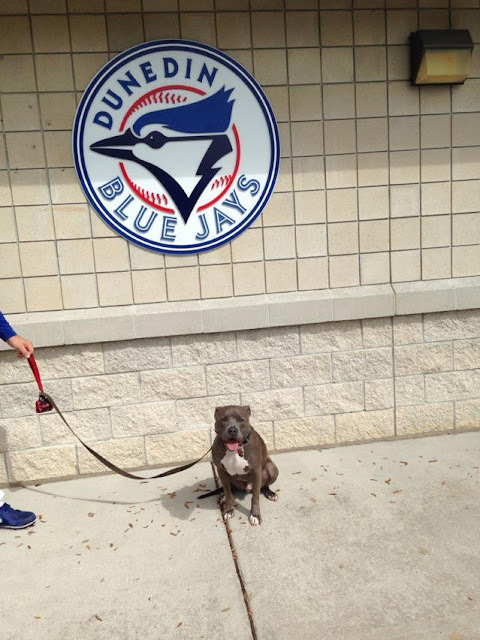 Slater, (Mark and Jamie Buehrle's dog) made his début at the Blue Jays Club House in Dunedin, Florida. He apparently hit a home run! He was loved by all.. but this is no surprise. Slater is a valued member of the Buehrle family and they were forced to choose splitting their family between a house in the US and temp home in Toronto for Mark during the MLB season. Slater is part of an overwhelming high percentage of dogs which fall under the ban, a well trained, well socialized, highly valued member of the family. He has his Canine Good Neighbour certificate and is working on his Therapy Dog certification too! The ludicrous "breed" ban in Ontario prevents Slater from entering the province. We had a Bill (Bill 16) to repeal the ban, which simply needed to be called for third reading. Bill 16 along with all other Bills on the table, died on the floor when McGuinty prorogued the House last year. PC MPP Randy Hillier tabled a motion last week to bring Bill 16 forward for third reading. It is fully within Premier Kathleen Wynne's power to reconstitute Bill 16 as it was the day McGuinty prorogued. Tell the new Premier to put Bill 16 back on the Order Paper for Third Reading so that it can be voted on immediately. You can sign the petition at this link. Breed Specific Legislation splits families, causes heartbreak and discriminates against good people and good dogs for no reason. There is overwhelming evidence to support that BSL has no effect on public safety. 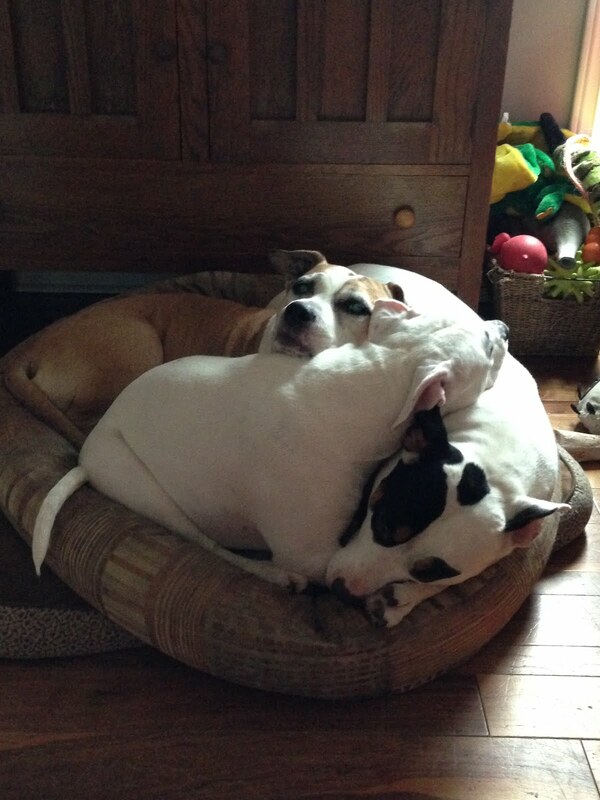 There is also overwhelming scientific evidence to support that dogs are NOT dangerous by breed or appearance. Jurisdictions worldwide are repealing BSL like dominoes, replacing with fair and balanced laws that do not discriminate based on appearance or breed. Come on Ontario, get your $hit together!